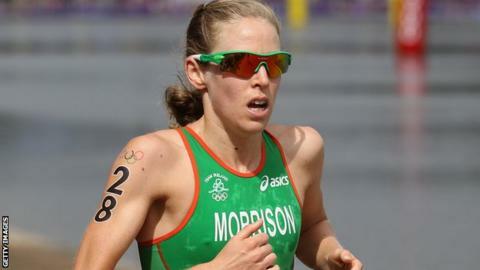 Derry native Aileen Reid finished 16th on her return to action after a back injury at the World Triathlon Series event in Cape Town, South Africa. The Irish athlete had suffered a torn disc at the end of last year and missed the opening event of the new season in Auckland at the start of April. Reid recorded a time of 1:49.14 in Saturday's race which was won by Great Britain's Jodie Stimpson. The next event will be held in Yokohama in the middle of April. Another Great Britain athlete, Helen Jenkins was second in South Africa, with Gwen Jorgensen from the United States third. Reid is tied for 28th overall in the series, with 248 points.